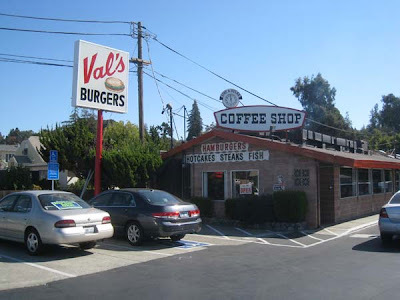 I had heard from several people that Val's had the best burger in all of the Bay Area. 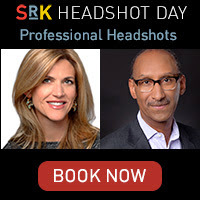 I can see what they meant. My friend Mark and I met for lunch on a Tuesday. The restaurant was busy. George, the manager, met us at the door and gave us a little history on Val's. Started in 1958, Val's has been pretty much in the same spot. Val himself died 18 years ago, but his wife still owns the restaurant. Val's pretty much looks like it is still in the 50s, in every positive sense. Décor includes a yellow linoleum floor, dark red naugahyde booths, dark wood arched ceiling and hand painted menus above the flame broiler. Our friendly server, told us about the menu. We sheepishly ordered the Mama burger - one half pound of fresh beef. ($5). Other options include the 1/3 pound Baby ($4.25) and the one pound Papa ($8.95) which actually consists of 2 Mama patties. Mark asked how many people actually order the Papa and George told us that it was a pretty large percentage. My Mama had swiss cheese, and bacon. Mark’s was chedder. 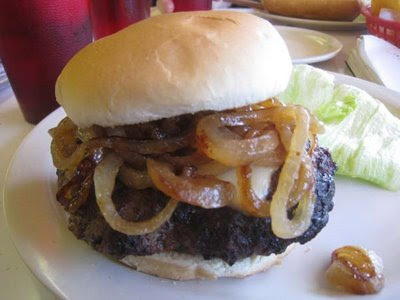 We got a side of grilled onions to put on. They come on a plate and are tender and sweet. Mayo, mustard, ketchup and pickle chips are on the table, to add to the burger. I put on some onions, mustard and mayo and took a bite. I must say the burger is fantastic. The smokey taste of flame broiling comes through as a compliment to the very tasty beef. The burger was juicy and cooked perfectly to medium. The burger is thicker than most burgers, which really keeps in the juices. The bacon was very thick and tasty. Not as crispy as I usually like but very lean, so it wasn’t chewy. All is wrapped in a soft plain white bun. Mark was equally pleased with his burger. We also tried the onion rings ($3.55), steak fries ($2.55) and mushroom ($3.55) sides. 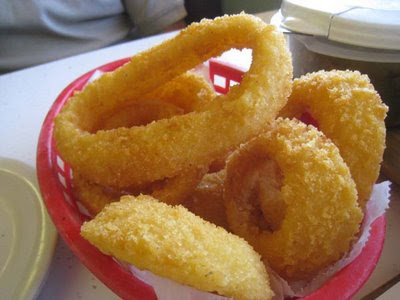 The onion rings were very large and sweet onion slices, like a Maui onion. The breading is thick and crisp. They were served piping hot. Delicious. I am not usually a fan of the large steak fries. These were as good as they get. They weren’t powdery inside like some, nor were they soggy or greasy. But neither were they especially crisp on the outside. The mushrooms came recommended by George. They are button mushrooms - sauteed with herbs and served with toothpicks. They were an excellent compliment to the meal. Finally, I had to try the chocolate milk shake ($3.65), which was thick and smooth and tasty. I must say that Val’s lived up to its reputation.